Good for your Business, Good for the Earth. How amino acid fertilizer compares to other forms of N Click the arrow > to watch and listen. 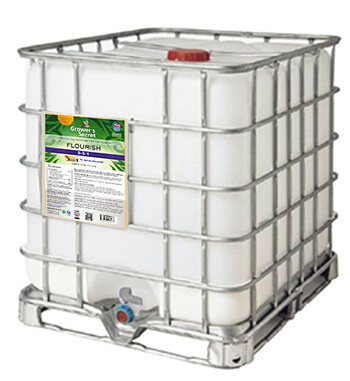 Soil and/or Foliar application, offers flexibility, choose what you need! 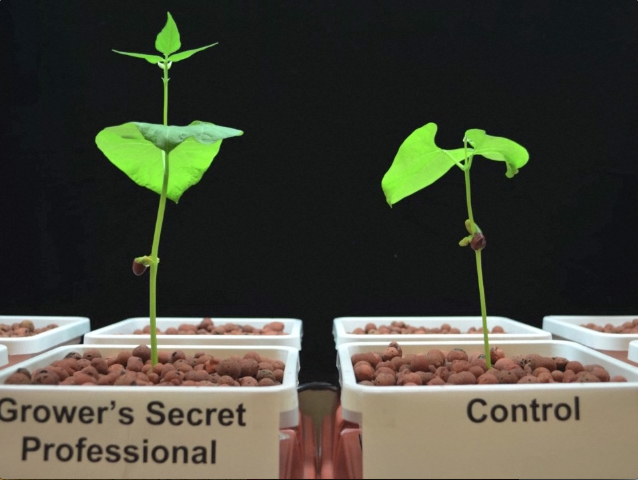 Time Lapse of GSP increasing kidney bean (Phaseolus vulgaris L) bio mass by 30%+. control fed dechlorinated H2O, grower's secret fed dechlorinated H2O plus gsp @ 1 drop per quart. 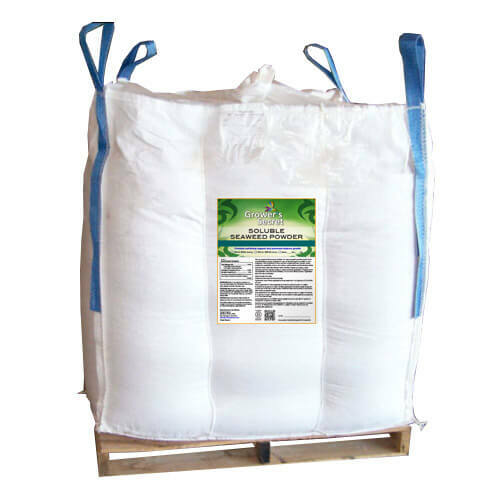 Plus, industry standard fertilizer at the rate of 1 tsp per quart, sprayed foliar once a week. 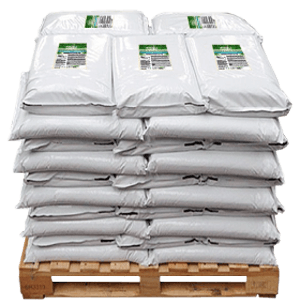 medium are hydroton clay pellets, bleached & sterilized. Read how your neighbors benefit. Grower's Secret, thank you for introducing me to your Grower's Secret Nitrogen. I started using it last December and WOW. Really WOW! I grow lavender from cuttings and from the propagation to 3" and to 1 gallon, you can see the difference. Lavender doesn't need much to start with, but during propagation you can see a difference in the roots. In the 3" and 1 gallon, the appearance and color was spectacular (that's what my customers said). Thanks again for a great product. 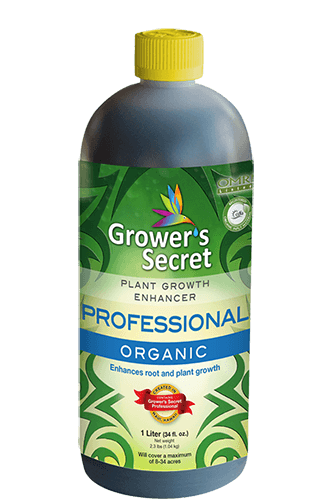 We have been using Growers Secret products for the past year and have decided to write this testimonial because it is important to get the word out that this company is one of the best we have ever dealt with. We are using the Nitrogen and Sea Weed powders and we are having the best results we have ever had with our plant health and blooming this year after changing to Growers Secret. In addition - this company has been there for us 24/7 and answered many questions with regards to plant growth and development. We order product and get it usually within 48 hours after we order it. We could not be happier with the product and customer support! Thanks Growers Secret for being there for us. 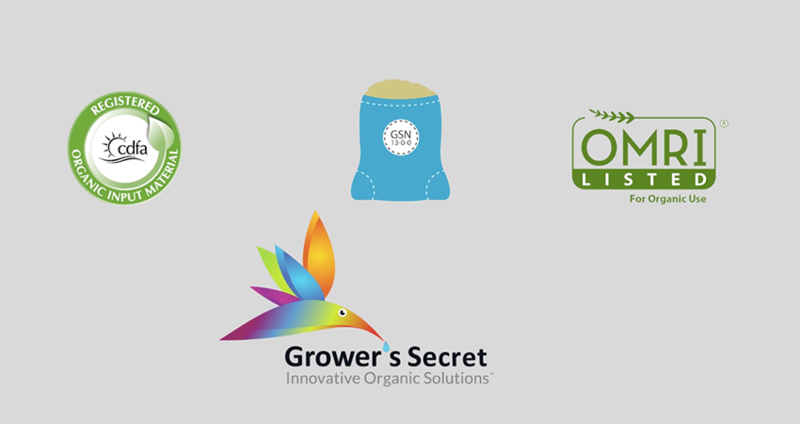 I have been using the Grower's Secret products for a couple of years now after meeting my neighbor, Kim Miller. I use the products on my golf course putting greens, primarily in the summer months when plant performance stress is at its maximum. I have found a high level of safety and security using the Grower's Secret products during the heat of summer. This is also the time when golfer traffic is at its peak and everything has to be perfect. Delivering high quality putting surfaces is my job and the Grower's Secret products are a part of that strategy. Highest standards you already trust.